Cutting edge geometry designed to reduce chatter and harmonics. Six flutes allow higher feed rates and provide longer tool life due to distributing the cutting load over a greater number of teeth. The 1/4 diamer is solid carbide. The larger diameters are brazed construction. If you have any questions about this product by Morse Cutting Tools, contact us by completing and submitting the form below. If you are looking for a specif part number, please include it with your message. 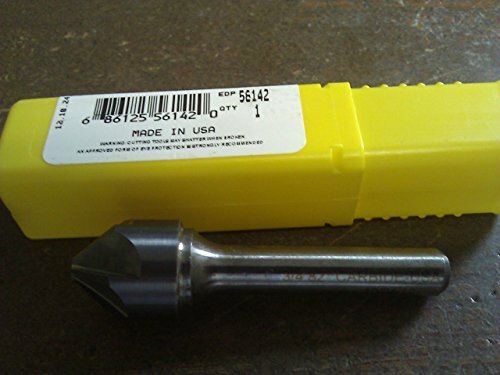 Dormer G154 Series High-Speed Steel Single-End Countersink, Uncoated (Bright) Finish, 3 Flutes, 82 Degrees, Round Shank, 8 mm Shank Dia, 12.4 mm Body Dia.